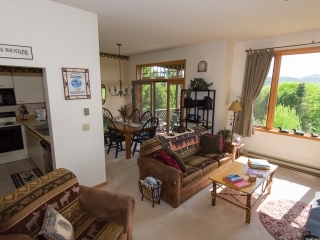 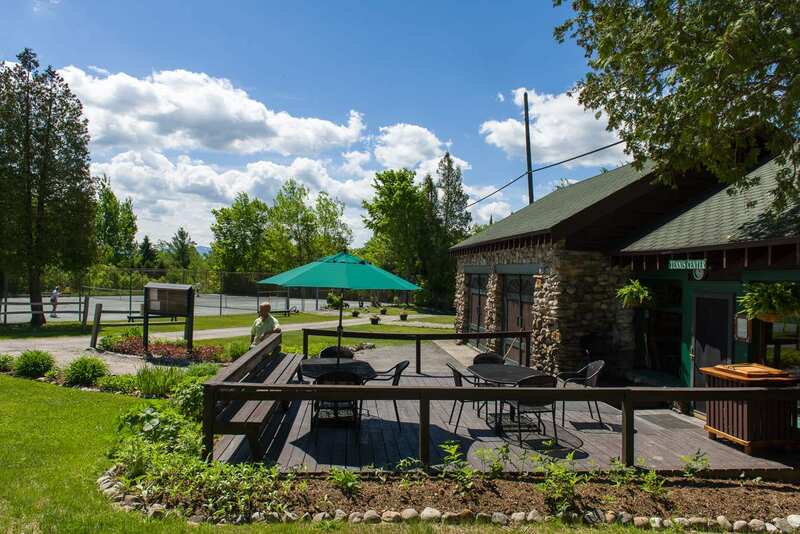 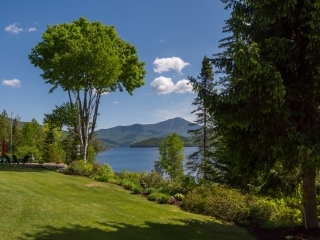 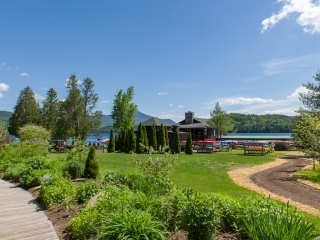 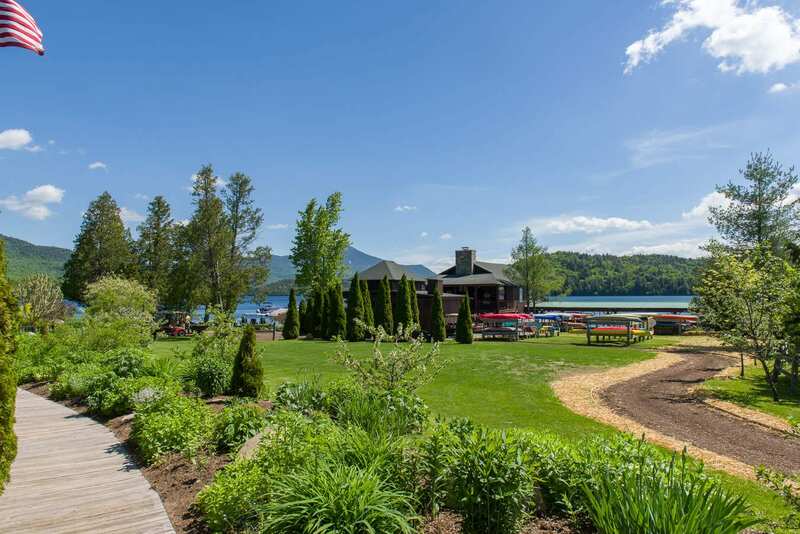 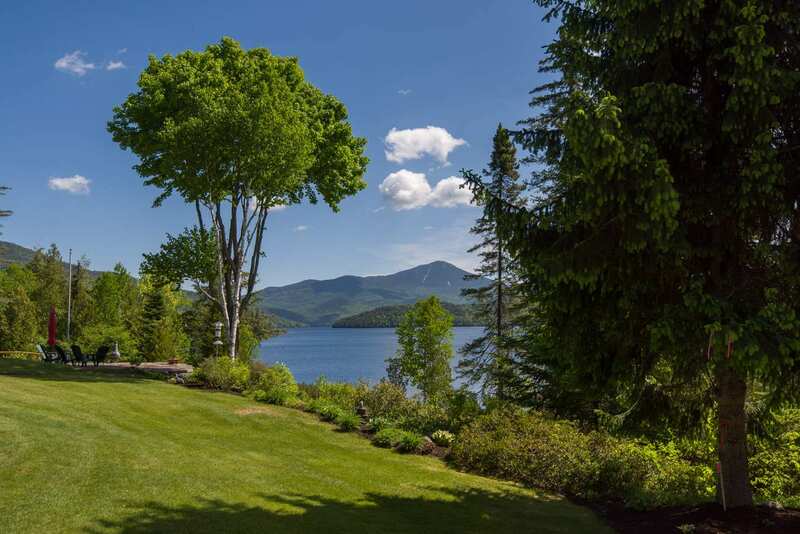 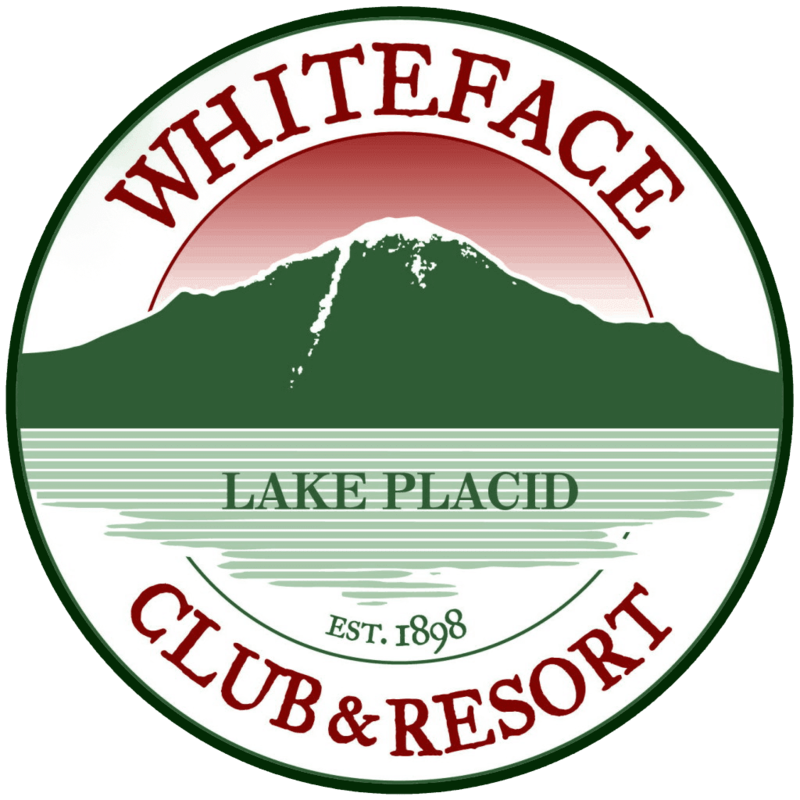 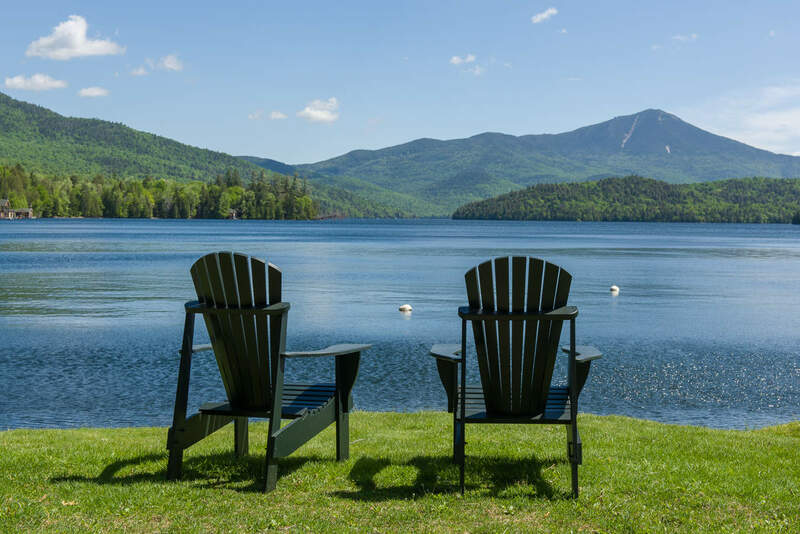 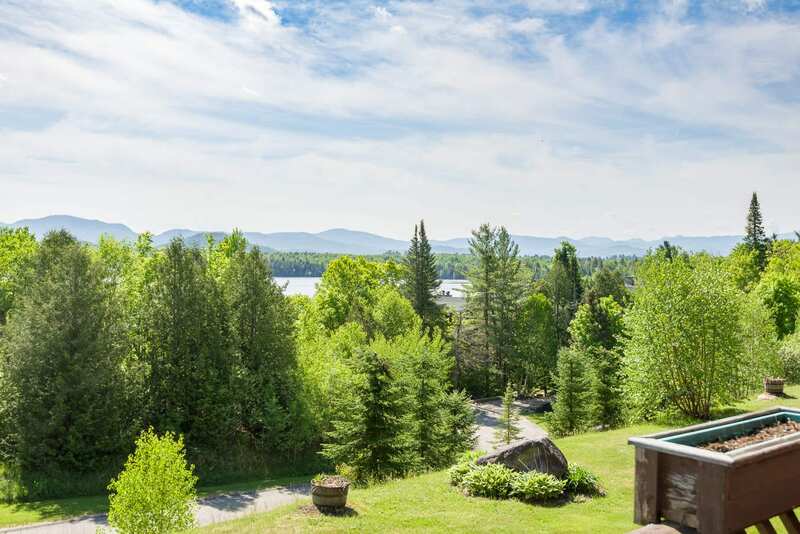 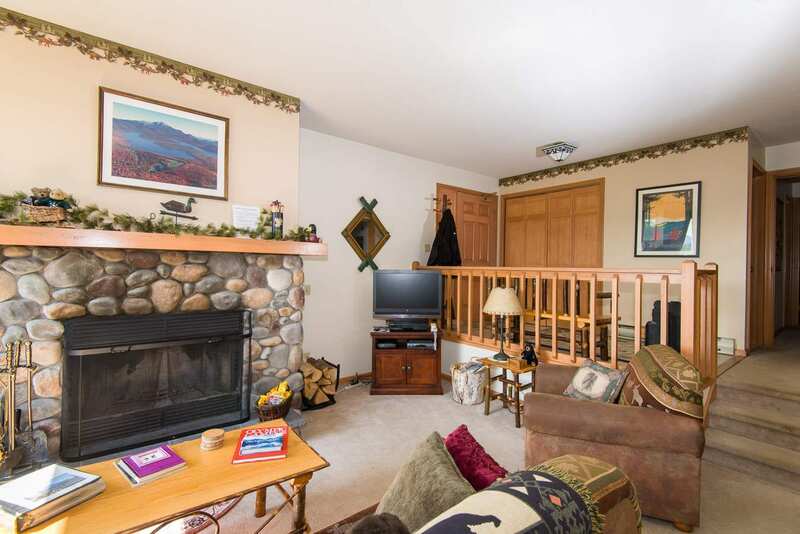 This very desirable 2 bedroom condo is situated on the beautiful Whiteface Club & Resort property overlooking Lake Placid and perfect for a family vacation. 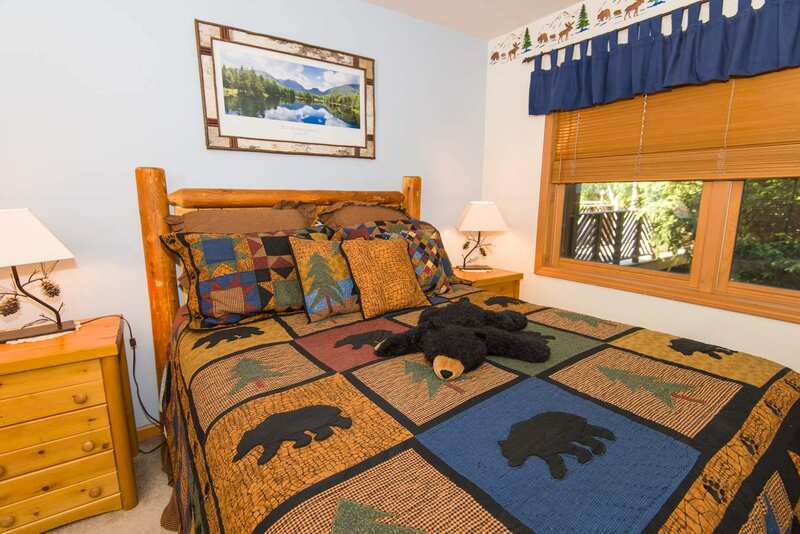 It has a very comfortable queen bed in the master BR, 2 twins and bunk beds in the other plus a sleeper sofa in the LR. 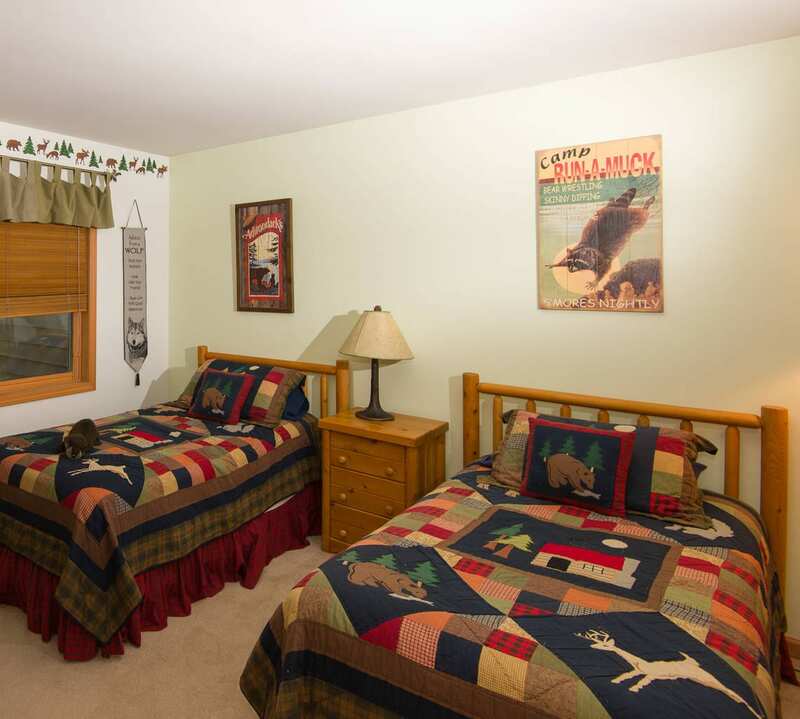 There are TVs in both BR’s plus the living room, hand stenciled ADK themed borders and Olympic prints. 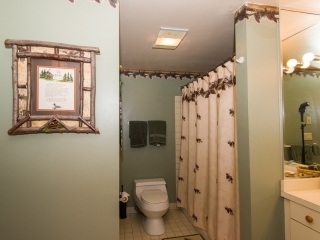 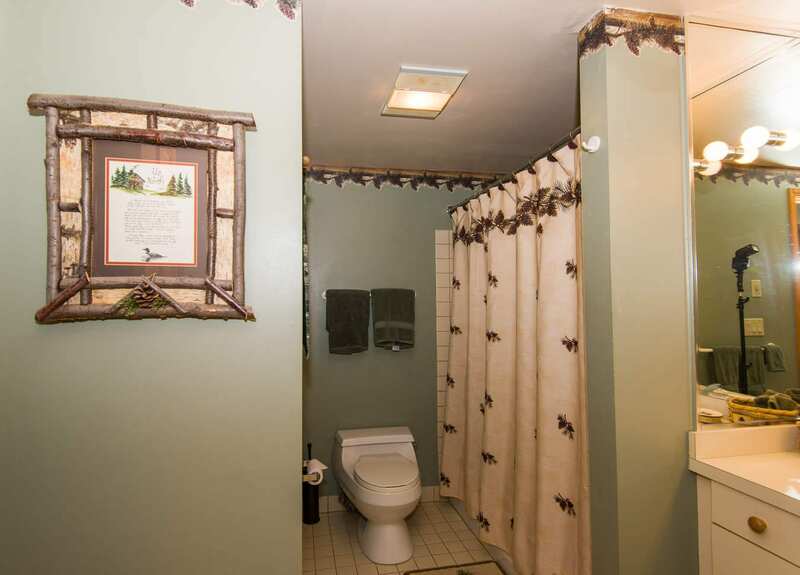 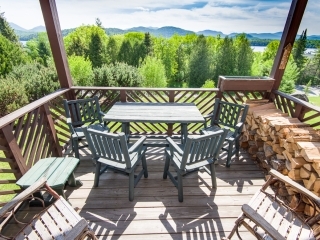 Two large themed full bathrooms (pine cones & oak leaves), a fully equipped kitchen and a very cozy living room with a fireplace (we supply the wood), perfect for relaxing and with stunning views of the lake and surrounding mountains. 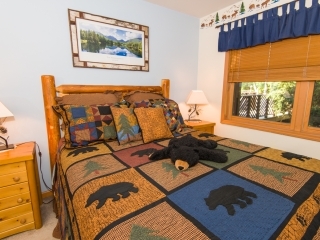 ADK furniture and plush carpeting with hand picked ADK decorations throughout. 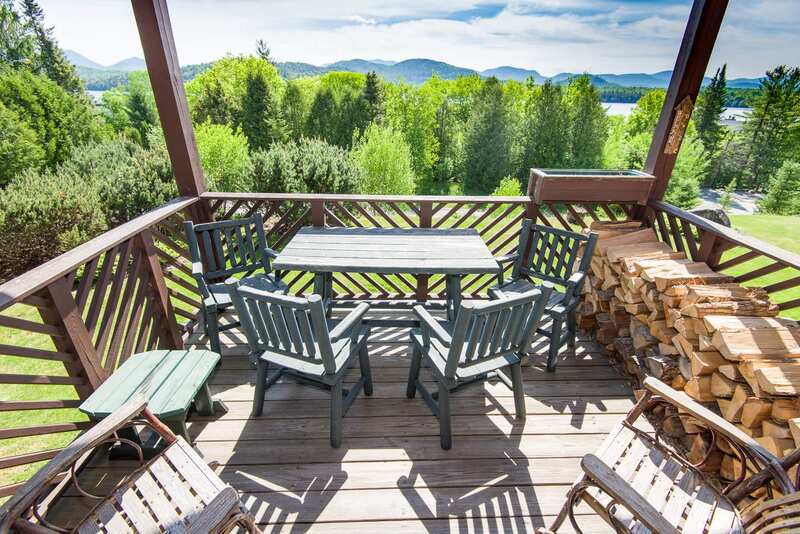 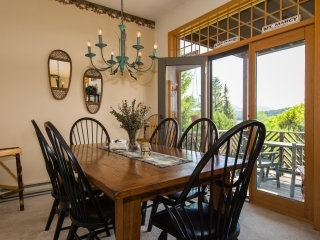 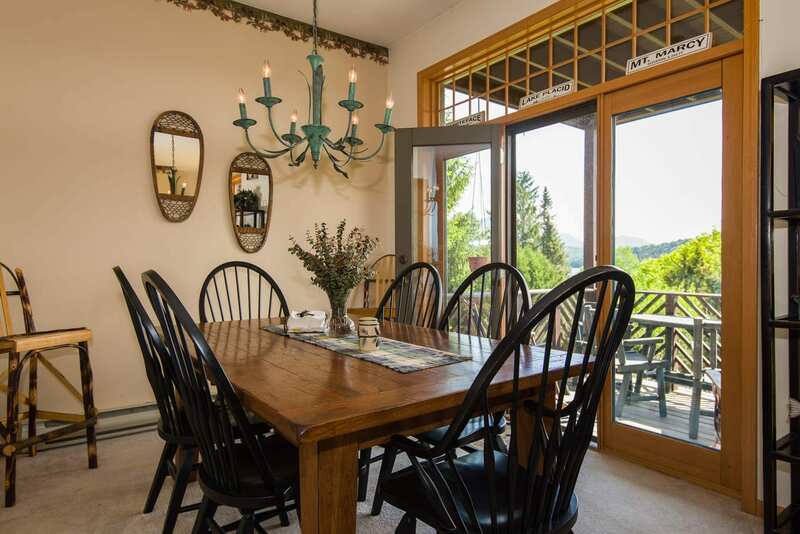 An open dining area that seats 6 leads to our deck with GREAT views of Lake Placid, Whiteface Mountain and the Sentinal Range. 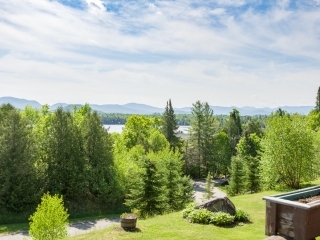 You can see the bobsled & luge tracks plus the moon and sunrise from it too. 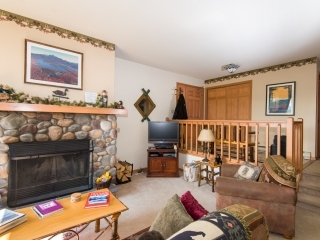 Wireless internet, an HD TV, 40 DVDs, 20 board games & many jigsaw puzzles for family fun. 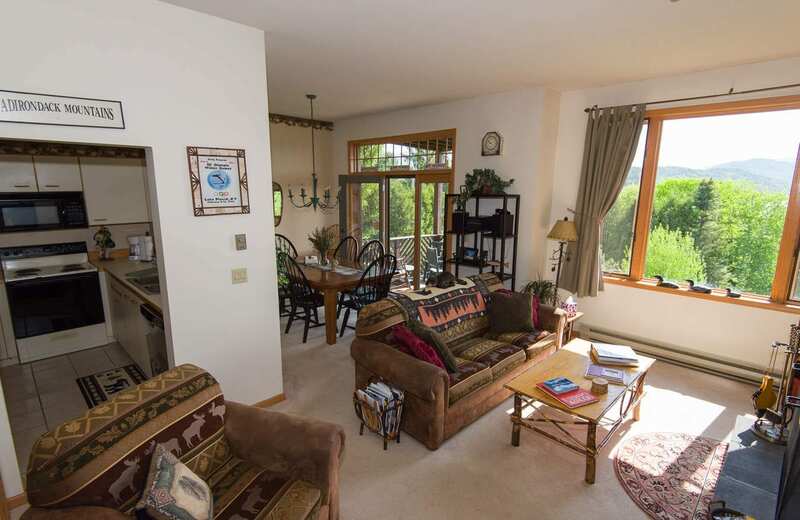 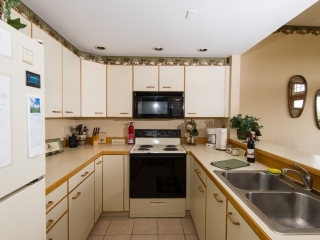 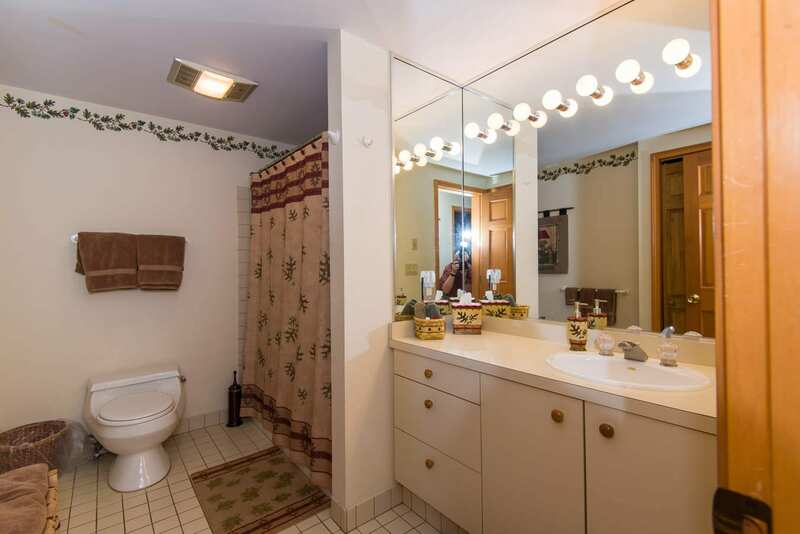 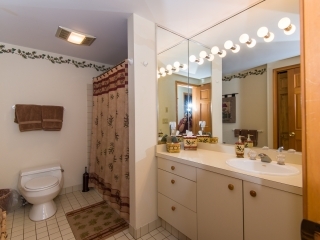 Easy walk-in access from private parking to this peaceful yet centrally located retreat. 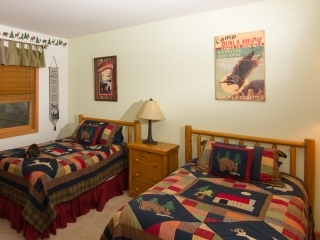 Perfect for young children or seniors! 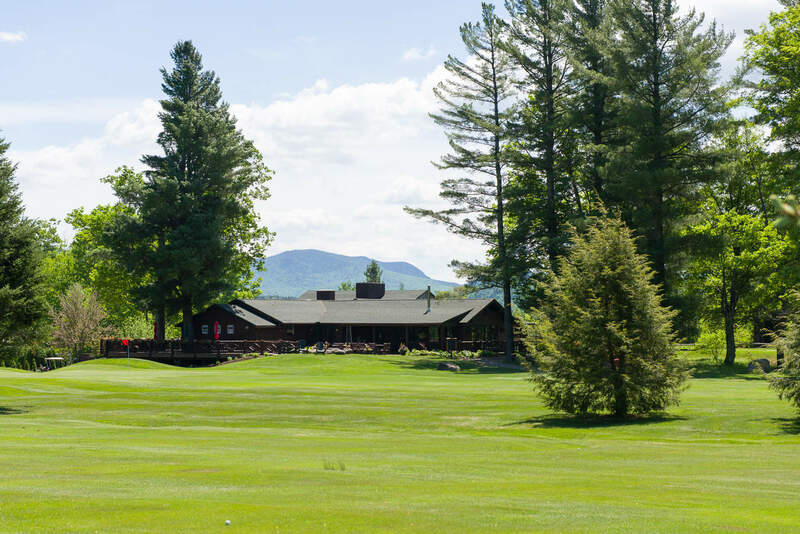 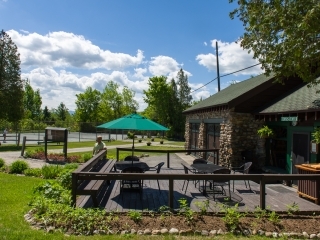 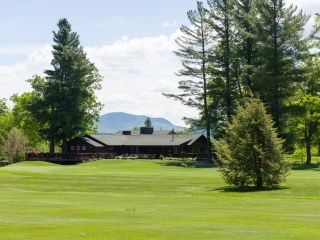 We are a registered New York State business and offer discount golf and ski packages.